Pictured, volunteers filling the backpacks. Photo: Supplied. The House of Lazarus (HOL) launched Operation Backpack. The program provides food to students who would otherwise go hungry on weekends. HOL representatives drop off the backpacks every Friday at participating schools, which are then distributed to kids in need. The bags are returned on Monday, brought back to the HOL and re-filled for the next Friday. 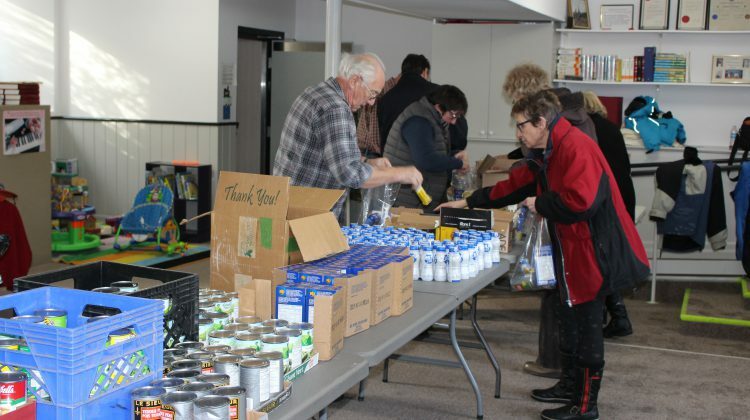 Funding for Operation Backpack came from a Rural Kids Grants through the Ontario Association of Food Banks and Monsanto. HOL Executive Director Cathy Ashby says food insecurity is a reality for many families. She says while some schools are able to offer breakfast or snacks for students throughout the week, there is no system in place to address hunger on weekends. Operation Backpack is currently in three local schools, with 111 students getting backpacks every week. 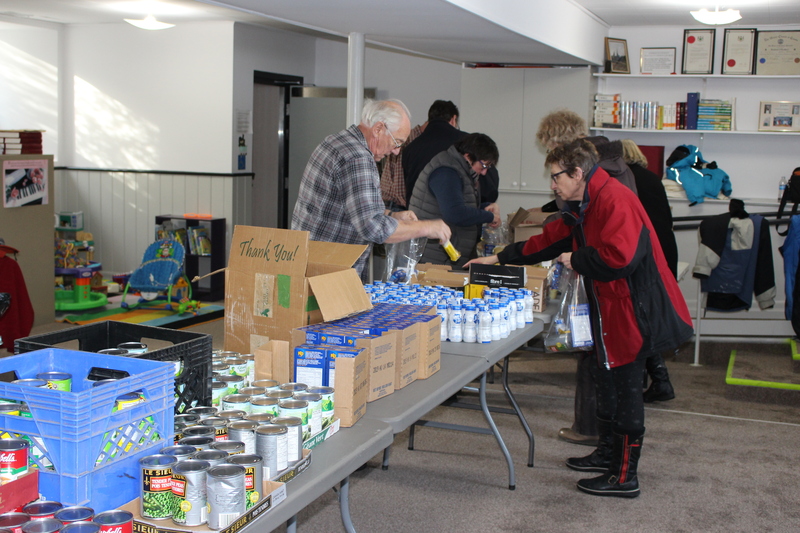 The HOL Food Bank serves people in North Grenville, South Grenville, North Dundas and South Dundas. For more information about the HOL, click here.